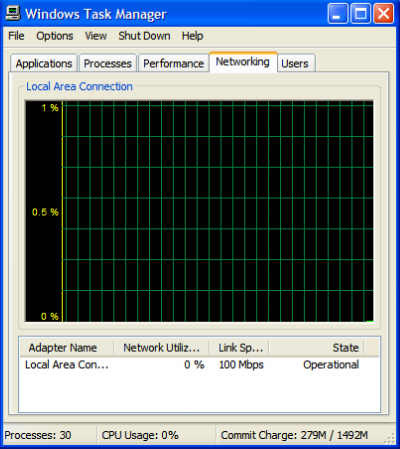 These are screen shots of XPs Task Manager. 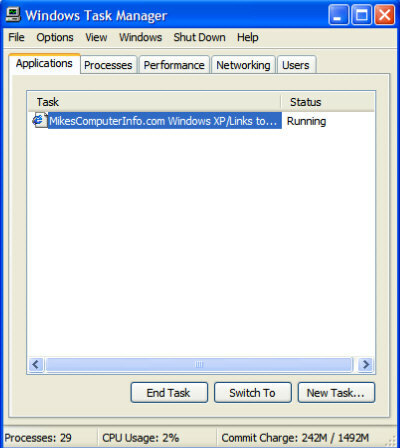 If you right click on your Taskbar and go to Task Manager, you will get this utility.This first screen shows you what programs are currently running on your computer. 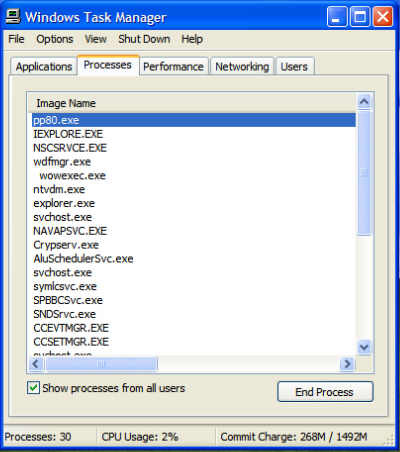 This comes in handy if you think there is a program running, that you are unaware of, it is also where you can End Task on a program that has frozen or stopped running. Highlight it and choose the End Task button to close the program. This screen shows you what processes are running or services. I would only use this as a reference to see what service is running. Use the Services Utility to stop it and set it to run manually, disabled or auto. I use this to do a check on Google to verify what it is and what I should do about it. This is the performance screen. This shows you how much of your CPU is being used. If it is running at 100%, some program or service is consuming all your available resources, time to check the processes and see which one is using all the CPU power. Go to the processes page and open the utility to full screen, the double little squares, top right corner, next to the X button. Under CPU it will show how much of the CPU that process is using. 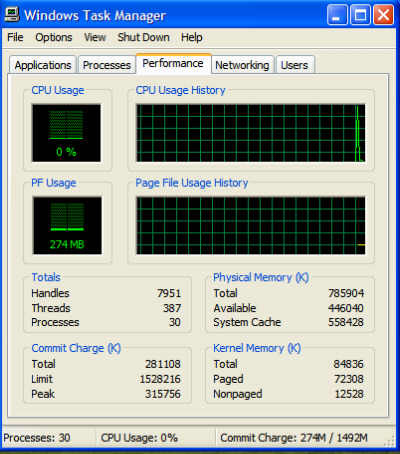 Under Memory Usage, it shows how much Ram is being used by the process. With that info, you can do a search on Google and see what that process is and what to about it. 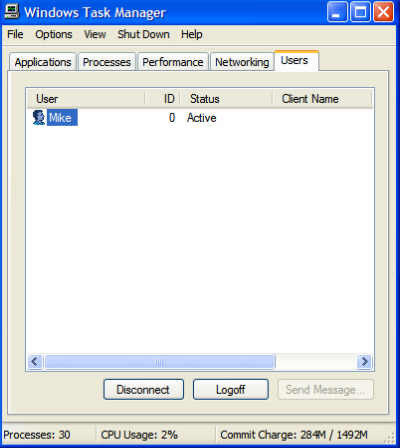 The Networking screen shows you if something is using the internet, if there is activity and you are not currently online surfing, then something is auto updating, such as Windows update, time or your antivirus program. If they are not running, then I would run Adaware and do a virus scan for possible infections. The Users screen shows you what user accounts are currently running.